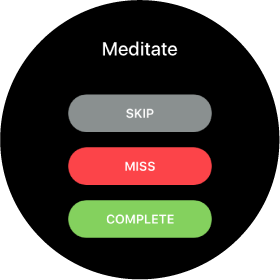 Habit List includes everything you need to reach your goals, wrapped in a beautiful and intuitive interface. It motivates you, helps you stay focused, and keeps you on track. It’s for all the little things that make a big difference. Keeping streaks alive is a powerful motivator. See how high you can go, then try to beat your personal best. Red badges mean you've slacked and need to get back on track. Yellow badges show up after a streak ends, indicating it's time to recommit to building a new one. Gray badges are optional, missing them won’t break your streak. 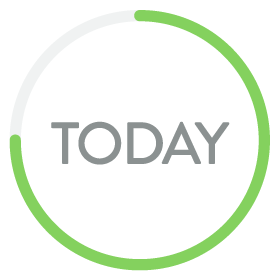 Green means go, complete it today! No need to wade through all your habits to figure out what to do, Habit List only shows what’s due today. And you can set the default order for your habits, so items that you’ll complete first are at the top of your list. Tap today and you’ll see your completion percentage for the day. Habits are powerful because they’re automatic, but while you’re building routines, reminders are indispensable. And with actionable notifications, you can complete items right from your lock screen. 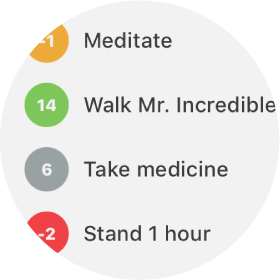 App badges show the number of remaining habits for the day, great for reminding you to complete your list. You can even set a daily review reminder to get in the habit of using the app. 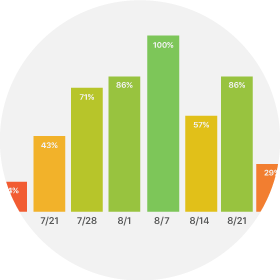 Step back and see the big picture with weekly and monthly completion percentages. Bar colors range from green to red and give a visual indicator of how you’re doing. 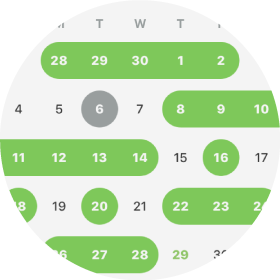 Choose from 3 kinds of schedules: Specific Days, Non-Specific Days, or Intervals. 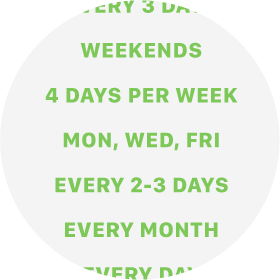 So you can schedule your workouts M-W-F, bring lunch to work any 4 days per week, or write a blog post every 2-3 days. No matter what kind of habit you’re building, you're covered. See your history at a glance and gain insight into what's working—or isn't. Always miss your Friday workout? Maybe a different day or early morning routine would work better. 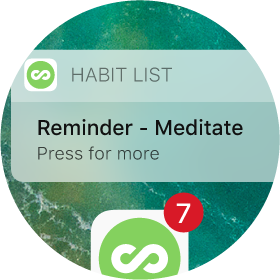 Habit List also tracks your personal best (longest streak) and total completions. 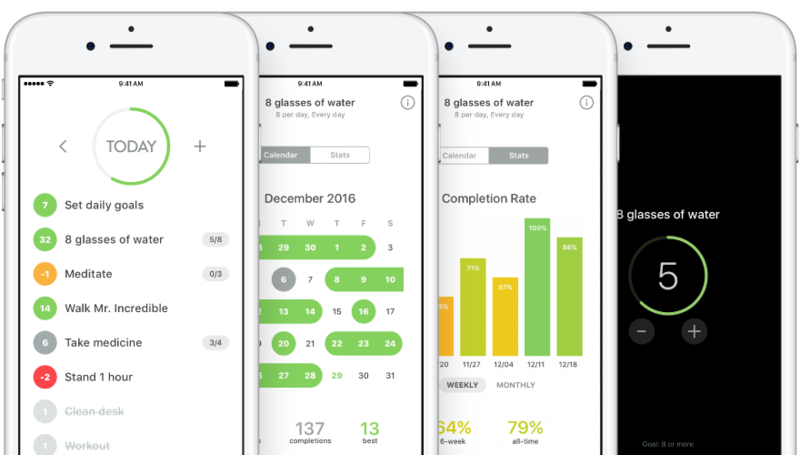 Need to track multiple times per day habits, like drinking 8 glasses of water? No problem. Going on vacation? Skip habits without breaking your streak. Miss a habit early in the day? Mark it as missed to keep your list uncluttered. You can also change the week start date, export your data (JSON format), and keep things private with a passcode or touch ID. Speaking of privacy, we don’t require you to set up an account, don’t track your habits, and your data is 100% private.